Houses & Homes VA: What’s the best technology for realtors to use? 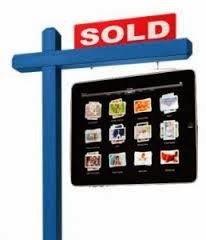 What’s the best technology for realtors to use? As you know all too well staying in touch with clients and responding quickly to their needs is vital to your success in our industry. Technology today makes this easier than ever but how do you know which hardware and software is best for your specific needs? Here is some very useful info. that should help you to make the right decisions if you are searching for a better way to stay in touch and to market your services more effectively. The first thing you will need is the right “equipment” to get the job done. This is one area that is very difficult to decide what “the best” really is because there are so many choices. Deciding between a desk top or a laptop for me is simple. A laptop is portable and allows you to take your office anywhere that you might go and for me it is the best solution when choosing a computer. Still, there is something to be said for an office pc; especially if multiple persons need to use it at different times to access the same information. Of course a laptop could also serve this function so this is one area that I think personal preference plays a vital role when deciding what is most useful for your needs. Either way an updated and powerful computer is always your best choice. Speed and reliability along with ample storage capacity will save you a lot of time in the long run and this is one piece of technology that you don’t want to buy budget. Remember no computer in this business means no business! As technology increases the size of devices decreases but is this always a good thing? Well, that depends on your point of view, literally. Lugging around a heavy laptop can be quite a chore and many people opt for a more convenient tablet or cell phone such as the ever popular iphone. These devices are great to have and very easy to use “on the go” but there are a few important things to keep in mind. First of all neither a tablet nor a fancy phone can do everything that a computer can do and storage space for information is also limited as compared to a computer. Secondly is the all important screen size. As useful as these devices may be squinting at the details of a document on a small screen is not always the best way to go. If readability is important to you than a laptop (or even a notebook) would be a much better choice. Although many people still use a traditional fax machine today the popularity of electronic faxing is ever growing and many offices use this technology exclusively. The first advantage is that you don’t need to be in the office to send or receive faxes. You can be anywhere to receive a fax and if you already have the document on your computer (or other device) you can fax from any location as well. Did I mention no additional toner to buy and no wasted paper? CRM (Customer Relationship Management) tools are an awesome way to keep your information organized. Today’s realtor has countless choices of software to choose from but the bottom line is that these programs make it much easier to “see what is going on” with both clients and multiple listings. It’s a good way to stay focused on what matters the most and can free up a lot of time allowing you to deal with more important issues and to increase your face time with clients. Remember, for realtors administrative duties don’t pay! While necessary to do paperwork robs you of your precious time and there is no financial return involved. Spending more time marketing and with clients is where you need to be whenever possible. I’m sure that you don’t need me to tell you how important social media is to your success. When combined with video it is a powerful tool that can bring attention to your business and get you noticed. The problem here is time and you can spend a lot of it creating videos if you don’t have an easy to use software package to work with. While there are too many software packages for me to review here I suggest that you ask some colleagues what they prefer to use when creating their marketing videos. Price is not a big consideration as there are many programs available at a very moderate cost but you want to be sure that you find a program that is easy to use; this will save you a lot of time and allow you to make professional looking videos in a snap! Another great marketing tool is called “Stik”. Stik is a social media tool that is designed exclusively for our industry and its purpose is to help you to manage your online reputation. I have not used it myself but I am told that it helps to increase leads generated by former clients and is a great tool for gathering referrals and testimonials to be used in one’s marketing efforts on the internet. Sounds like something I need to try myself!